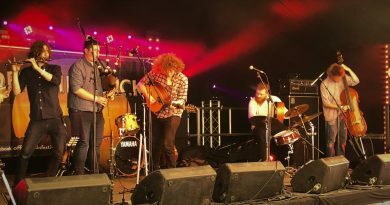 The festival, which will be held on the weekend of 31st May and 1st, 2nd June at the Belper Rugby Club, has grown every year since its launch in 2013. Now in its seventh year the event is becoming an essential part of Derbyshire’s summer festival line-up and this year looks to be just as popular, with stall bookings already well over the amount they had last year. At the heart of BGG2019, as ever, is Transition Belper’s aim of sharing ways to reduce our impact on the planet in a relaxed, safe and uplifting environment. But the festival has a lot more on offer: it aims to give a platform to local independent businesses who share the BGG ethos, and is run in tandem with a CAMRA beer and cider festival, this year with 50 varieties on offer. And if that isn’t enough, there will be live music on Friday evening and Saturday and Sunday daytime on solar-powered stages, as well as literary talks and spoken word throughout the weekend. Can you help support your local festival? If you’re a local business, organisation, charity, community group or creator and would like a stall or you’d like to offer a workshop or demo, please get in touch here: http://www.transitionbelper.org/BGG%20stall%20booking.html Bookings will be subject to a £15 additional charge after 31st March so get booking soon! 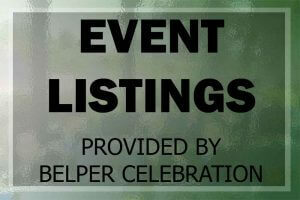 We look forward to another hugely successful event and a chance to celebrate life in Belper and the DE56 area. Full music line up to follow soon.